You can also use the advanced animation tools to position your layers. 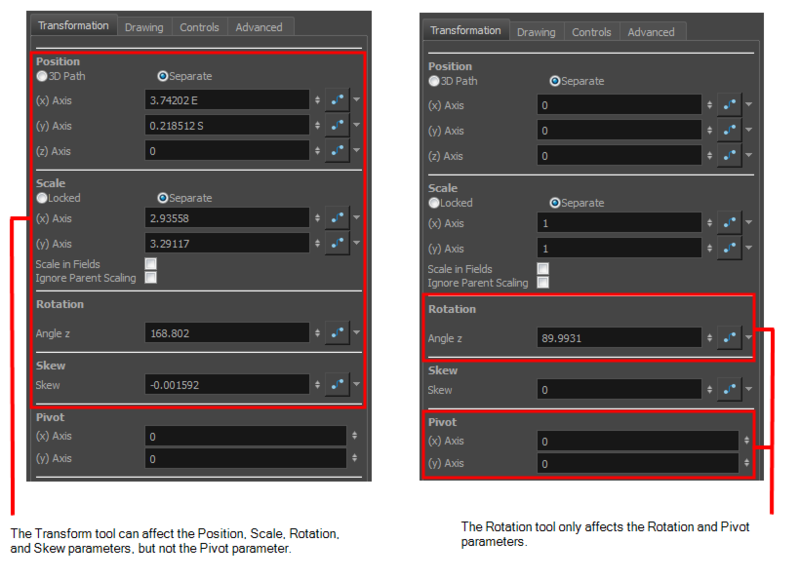 The difference between these tools and the Transform tool is that they modify only one parameter of the position such as the rotation or the scale as the Transform tool adjusts all parameters together. You can find the advanced animation tools in the Advanced Animation Tools toolbar.